Surrenda Link Mortgage Funding has formally responded to a claim filed by a number of victims of the Equity Release and have, fundamentally, denied any responsibility in selling anything but an English loan guaranteed with a Spanish mortgage. That the victims were not resident at the time of taking out the loan. That the “product” is not a complex one but a type of “reverse mortgage” that almost all Spanish banks offer -without them being accused of tax fraud-. That claimants were correctly advised of associated risks by their lawyers and financial advisers. That the “product” and its promotional literature was offered to financial advisers (IFAs) based in Spain, who were hired by the claimants, at their own peril. That SLM and Premier did not offer, via joint venture, any financial product to the claimants. That this mortgage loan is fully valid for IHT mitigation purposes, in accordance to a report prepared by a “prestigious” lawyer, Carlos Albiñana, who has dreamt up a theory whereby if you take out a loan on your house to acquire a Ferrari, your children can certainly deduct this loan for IHT purposes. In his defense, we can argue that he was just too lazy to submit an enquiry to the Tax Office, as ERVA did in 2013. The Court has ordered the parties to appear at the Bilbao Court of First Instance on the 11th of November of this year. designer of a financial product involving mortgage loans for a British investment firm. Can we safely presume that he is referring to THE PREMIER GROUP and SURRENDA LINK? We most certainly can. 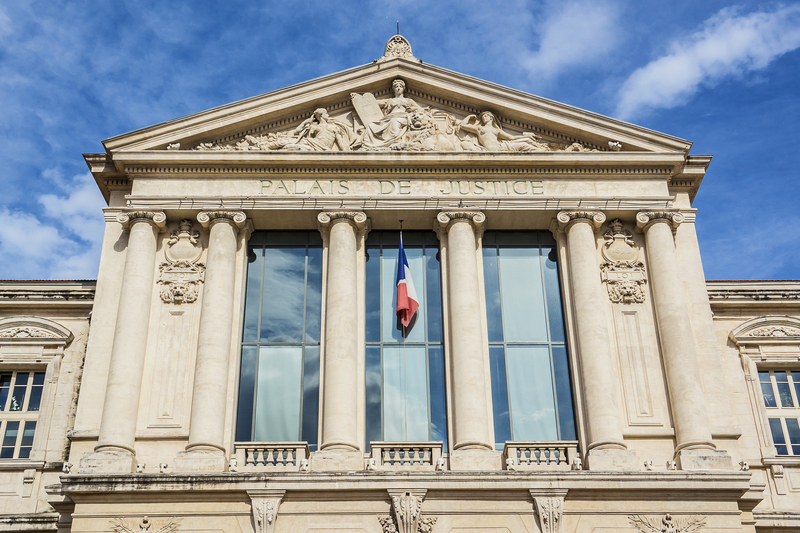 The Court of Appeal in Paris, in a ground-breaking ruling of the 24th of September, has ordered that a number of employees of the almost defunct Landsbanki face trial for fraud. Fraud consisting on knowingly concealing financial difficulties faced by Landsbanki since 2006 and its near impossibility to meets its obligations towards its customers. Fraud consisting on cross-financing between banks of the same group, i.e. banks acquiring capital from other group banks, increasing thereby the threat to viability and bankruptcy. 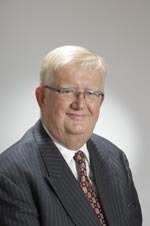 Fraud consisting on making customers believe that not only were they not taking any risk but also, that by mortgaging their properties for amounts significantly higher than they actually needed for liquidity (the part of the loan left to them), they would have nothing to repay until the maturity of the loan as the interest would be covered by the yields on the investment. Fraud consisting on encouraging customers to buy Icelandic bonds knowing yet concealing the fact that these would, inevitably, lose all its value. Fraud consisting on abusing the trust of customers who were not advised that the bank would have to subscribe, on their behalf, Landsbanki Kaupthing obligations. Bjorgolfur GUDMUNSSON (Icelandic), Gunnar THORODDSEN (Icelandic), Torben BJERREGAARD (Danish), and the managers Olle LINDFORS (Swedish), Morten Juul NIELSEN (Danish), Thomas NIELSEN (Danish), Vincent FAILLY (French) and the sales representatives, Robert ANTHONY (British) and Pascal MARCEROU (French). The Premier Group (Isle of Man) Limited has formally responded to Court papers filed by Equity Release Victims against this company and SLMB, their lenders. The main allegations contained in the writ reveal a great deal of anxiety and worry, consistent with a very significant claim value of circa 6 million Euros. In their defense, The Premier Group has avoided alluding to inheritance tax, lack of regulatory authorization to operate in Spain and financial miselling. Their main argument, aided by a partisan “independent” report drafted by their Isle of Man lawyers, CAINS, is that The Premier Group (Isle of Man) Limited was incorporated in July 2007 and therefore, could have never had anything to do with the SITIRS (Spanish Inheritance Tax and Income Release Scheme) which, according to their independent lawyers, was devised and promoted by ‘another’ company called “Premier Balanced Distribution Inc”, based in British Virgin Islands, a revelation that logically exonerates them from any responsibility and thus…case closed! Such is the confidence of The Premier Group’s Spanish counsel that they liberally dub lawyers acting for the claimants as clumsy and inept, considering the magnitude and implications of this gross oversight. In 2001 founded the forerunner fund group that became Premier and has been actively engaged in the design and management of many offshore funds. The Premier Group (Isle of Man) Limited (“Premier”) is the successor of a fund group established in 2001 and is responsible for designing, distributing and managing a range of investment funds to investment intermediaries and financial institutions throughout the UK and international markets. Further evidence that supports that both companies are the same will be produced in Court and, where appropriate, divulged in this website. As for SLMH, they have not yet filed their defense papers that we are aware of. The Council Act of 29 May 2000 establishing the Convention on Mutual Assistance in Criminal Matters between the Member States of the European Union enables prosecutors and courts of EU countries to receive assistance from one another when investigating crimes. This Act supplements the European Convention on Mutual Assistance in Criminal Matters of 20 April 1959. The Act does not cover International police, extradition and customs collaboration, all of which are regulated by other laws, but measures required by courts and prosecutors in preliminary investigation and in court proceedings. 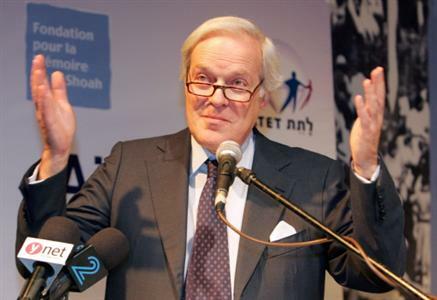 Denia (Alicante) Court number 1, currently investigating alleged fraud in the marketing and sale of mortgage in Spain, has ordered one of such measures: the interrogation of the de facto owner of The Rothschild Group, Mr. Baron David de Rothschild. To achieve this, lawyers acting for victims of the “Credit Select Series 4” mortgage loan have recently submitted to the Spanish Court a list of questions that Mr. Rothschild should respond to, when summoned by the appropriate French Court. The deposition questions relate mostly to the extensive advertising employed by Guernsey-based Rothschild Bank International, owned by The Rothschild Group, to market and sell Spanish mortgages as scheme to reduce potential inheritance taxes. Rothschild lawyers have cynically denied any knowledge of the proceedings and refused to collaborate, in spite of a meeting held with a journalist from El País to discuss their version prior to running the story, or the visit paid by police officers to their Madrid offices to deliver the summons. On this occasion, the officers were fobbed off by dismissive staff with a lame excuse: “he does not work here”. Mr. Rothschild’s attitude is in contrast with his group’s advertised motto, “Harmony, Integrity, Industry, qualities that are best underpinned by the Denia judge who, so far, seems unperturbed by the stature of the individual. With Courts resuming their activity this week, there will be a mixture of expectation and hope among the victims of a fraudulently-sold mortgage loan who now need to know, sooner rather than later, what Rothschild’s top man has to say. Court Number 1 in Denia has given lawyers acting for claimants 30 days to submit a list of questions they wish Mr. Baron David de Rothschild responds to. The Court order implies that Mr. Baron David de Rothschild will be heard at a French Court, and not in Spain, as was initially petitioned. Whichever way, Mr. Baron David de Rothschild will be formally indicted in a criminal case as soon as the Denia Court processes an international ‘letter rogatory’, through the Paris-based ‘liason Judge’ Javier Gómez Bermúdez (on photo) -a well-known Spanish former National Audience Court Magistrate-, in charge of providing a channel of communication to French Courts. 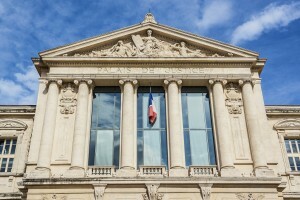 The State Prosecutor whose opinion was sought by the Denia Court on the matter of Mr. Baron de Rothschild Summons has confirmed, in a short writ, that the deposition of the banker may take place in France -via the designated national Court-. If this is the case, the acting lawyers will be given a date to submit a list of deposition questions, with a translation into French. It is also possible for lawyers acting for claimants to attend the interrogation. David de Rothschild, Chairman of Rothschild Continuation Holdings and NM Rothschild & Sons, is due to be summoned in France to appear before a Denia Court. The Court resolved to proceed with serving formal notice of legal action in the neighbouring country as a result of the State Prosecutor’s decision to not oppose the petition for summons, as requested by lawyers acting for a number of undisclosed claimants. The presiding Judge has requested that lawyers acting for claimants identify the current address for Mr. Rothschild. The news coincides with the the hefty $11,5 million fine imposed to Rothschild Bank AG by the U.S. Justice Department, for helping Americans conceal assets offshore.